April 18th, 2019 | How Serious Will BC vs Alberta “War” Get? The Goddard Report - Spencer Fernando – Why Did One of Canada’s Richest Families Get 12 Million from Trudeau? The Goddard Report - Michael Rivero – What’s behind the latest Trump government shake up? April 3rd, 2019 | Will Trump Close US-Mexico Border? The Goddard Report - Michael Rivero – Should CEO’s of companies that cheat public go to jail? April 2nd, 2019 | Have BC’ers Accepted They Are Just Tax Slaves? April 1st, 2019 | Will NDP Tax BC into Recession? 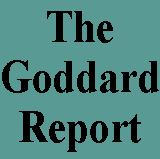 The Goddard Report - Jordan Bateman – BC rapidly losing any competitive edge. March 26th, 2019 | Could Trudeau Be Facing Investigation? The Goddard Report - Spencer Fernando – Why won’t Commons Ethics Committee look at SNC-Lavalin affair? March 21st, 2019 | What Happened to Trudeau Promise to Balance the Budget? The Goddard Report - Bob Mackin – What secrets don’t the Whitecaps want you to know about their BC Place deal? The Goddard Report - Spencer Fernando – Should the 737 Max be grounded until proven safe? March 11th, 2019 | How Safe is the 737 Max 8?